I have the inside scoop on everything you need to know about the newest Disney animated movie Ralph Breaks the Internet, in theaters November 21st. Get ready for an epic adventure with your friends Ralph and Vanellope! Thank you to Disney for flying me out to LA for the media day! Late this past August I had the pleasure of attending the press event for Ralph Breaks the Internet at Disney Animation Studios. 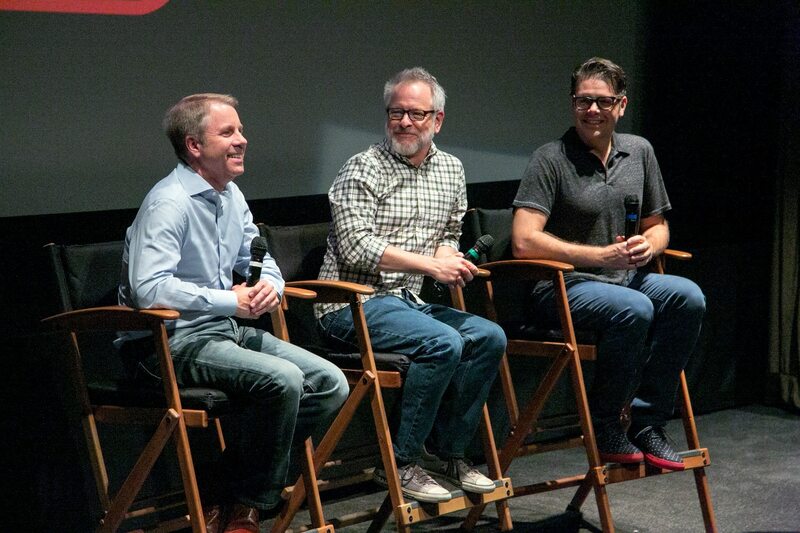 During that time we were able to sit down and view some footage from the movie and chat with Director Rich Moore, Director/Writer Phil Johnston and Producer Clark Spencer. But first, if you didn’t catch it this morning the final Ralph Breaks the Internet trailer was released! Check it out! 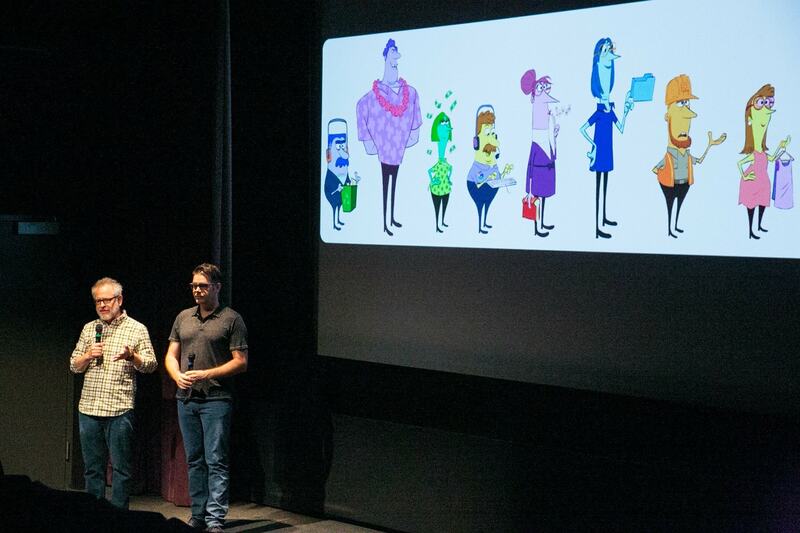 During our chat with Rich Moore, Phil Johnston and Clark Spencer we were introduced to the film, learned about some of the scenes in the film and learned how they created a visual Internet world. 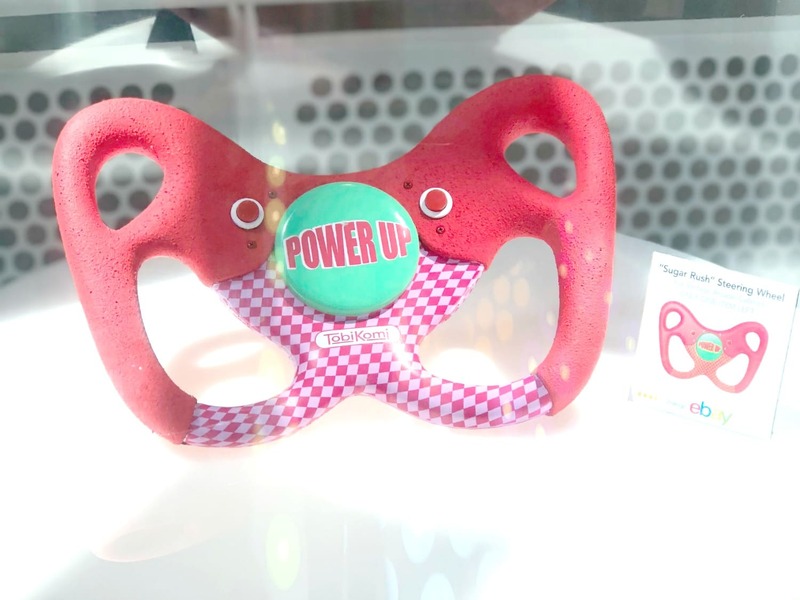 I thought it would be fun to share ten interesting things I learned during the conference. 1. 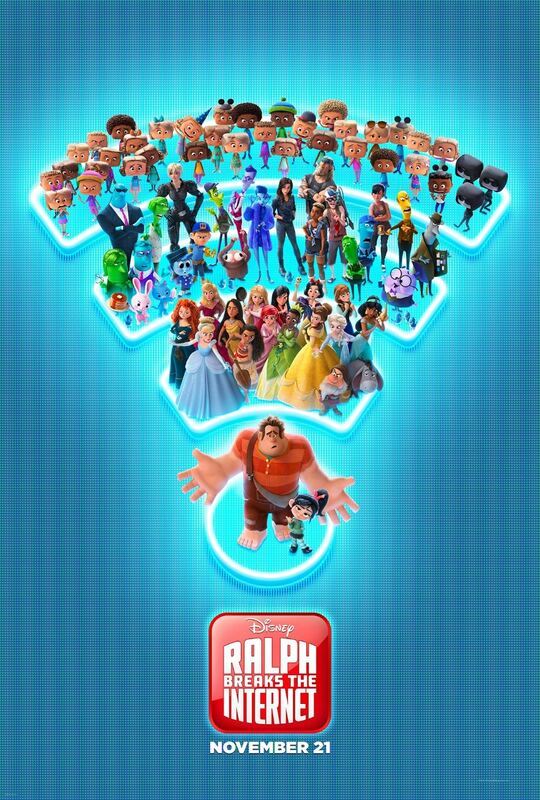 The idea for Ralph Breaks the Internet started right after the completion of the first film. Rich, Phil and Clark realized after finishing Wreck-It-Ralph that there was another story to be told. They wanted to show an evolution of a friendship and how friendship can change. So they began the process of starting a new feature film in 2014. 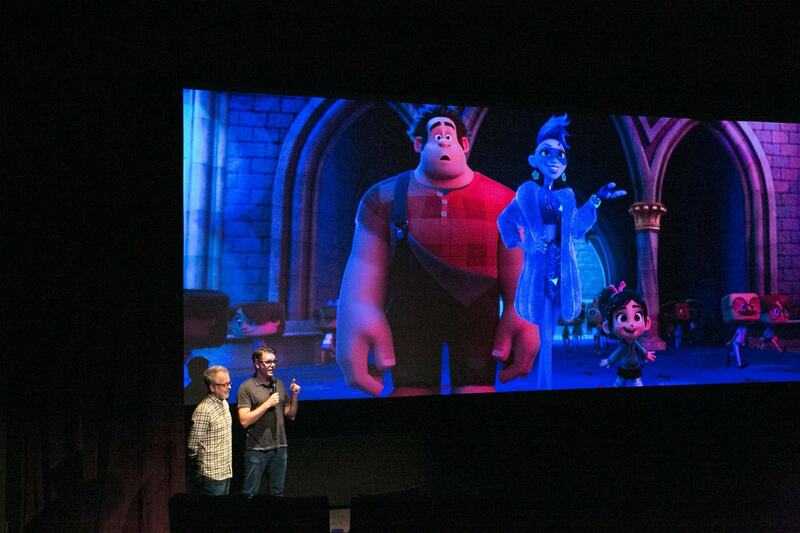 Ralph, Vanellope, Felix and Calhoun are all back in the new film, as well as the original voice cast – John C. Riley, Sarah Silverman, Jane Lynch, and Jack McBrayer. They will be joined by some incredible new characters. They strongly agreed that you shouldn’t do a sequel just to do a sequel, that it has to take the right idea, and they found one! The storyline started when Rich, Phil and Clark talked about transporting our beloved best friends from their small town, the little arcade, where they live, to this big expansive world of the Internet. It picks up right where we left them, life is perfect. Then WIFI comes to game central and things start to go downhill. Venellope loses her game when the steering wheel breaks. Ralph realizes that they need to get a replacement to save her game and in order to do that they need to visit the Internet. This movie explores what it is like if someone is judging himself on the value of someone thinks of him, and what it means when friends have different dreams. 3. They did a lot of research to figure out what the Internet would look like. I am always so impressed with the storyteller’s imaginations at Disney studios. They had to Imagine what the world of the Internet would visually look like and that look a bit of research. They visited One Wilshire Blvd, the building in downtown LA that houses all of the connections for any and all Internet communications for all of North America. Inside that building was miles of wires and 10s of thousands of servers that connect North America to the Internet. They used this visual as a reference when they created the land of the Internet. 4. The Internet is home to Netizens and the users of the Internet are called Net Users. There are billions of people on the Internet. Disney wanted to distinguish between those individuals who reside inside the Internet and those who were just visiting. In the film, we are visually able to tell the difference between the two. Net Users – Internet users of you and me. These people are portrayed as an avatar of the user, with a square head. Netizens – Full-time citizens of the Internet offer guidance as you search. They come in all shapes and forms. 5. They broke the Internet into districts like Social Media and use real places and business names. In Zootopia Rich, Phil and Clark created all of their own names for businesses and shops. But for Ralph Breaks the Internet they wanted the Internet to have websites that we are all familiar with. They use real business names in the film so that the world is believable. When they were asked if they felt an obligation to show a healthy use of the internet, they felt like they did a good job portraying the Internet. As we all know nothing is 100% good or bad, they wanted to show the good and bad of the Internet and were able to get creative in order to that. Ralph is susceptible to the bad things on the Internet too. Rich, Phil and Clark felt a need to show both sides. 6. They brought in a real-life auctioneer. One of my favorite pieces of the film that we got to see was how they portrayed the eBay auctions. Of course, Disney is going to go big so they flew in the reigning U.S. champion auctioneer, Brian Curlis to voice one of the eBay auctions in the film. Trust me when I tell you it was worth it! 7. Ralph creates viral videos. So the eBay auction doesn’t go exactly according to plan and now Ralph and Venellope need to raise a lot of cash quickly. In order to do that, Ralph creates BuzzzTube viral videos to earn money. He copies other viral videos in order to do this! 8. There are a lot of fun cameo appearances in the film. Disney lovers are going to love searching the film for familiar characters. If you have been watching the trailers you might have seen a few familiar faces like Eeyore and some Star Wars favorites. We learned that Anthony Daniels makes an appearance as C3PO! Rich, Phil and Clark recorded Anthony Daniels in London for the role! 9. You are going to love the new character Yesss. YESSS is played by the incredible Taraji P. Henson, from Empire and Hidden Figures. ‘Yesss is an algorithm, a type of Buzz Feed meets Youtube. She is very trendy knows everything that is up and coming. Photo by Alex Kang/Disney. ©2018 Disney. She is a fun character to watch as her outfit and hair changes constantly. In fact, her jacket is made up of thousands of fiber optics. She helps guide Ralph through his viral videos. 10. The Princess Scene is amazing and is longer than what we have seen so far! Hopefully, by now, you know that the princesses are back and together in one room for the first time. You might have thought you have seen the entire Disney Princess scene, but you haven’t. The scene is longer than the clips that have been released and it is FANTASTIC! Rich, Phil and Clark told us that it was very emotional for several of the actors to come back to voice their princess. They told us that it was very special that they were able to record those lines with them. I will have more about this fan favorite scene in the upcoming months so be sure to check back! Finally, we learned that there might be an actual Breaking the Internet… we will have to stay tuned and grab our tickets on November 21st to find out for sure. 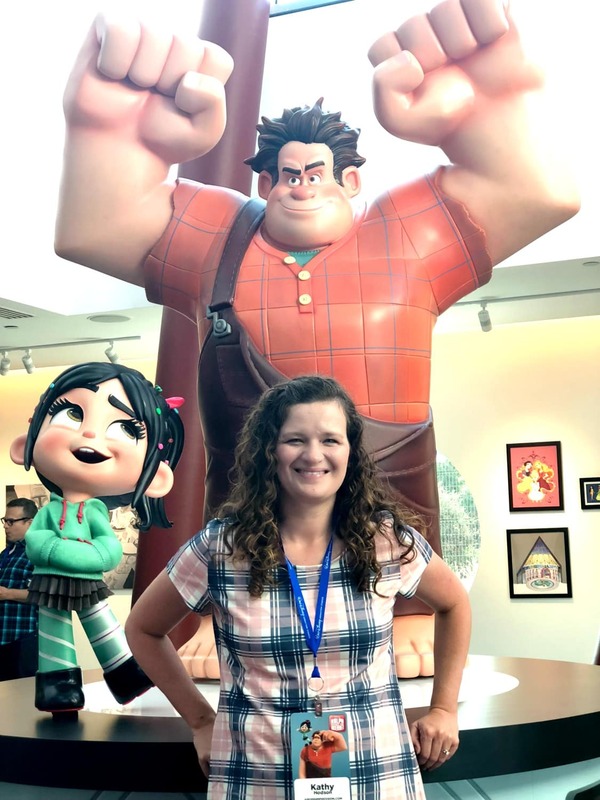 Be sure to check back next month as I am able to share even more of my experience at the Ralph Breaks the Internet media event!